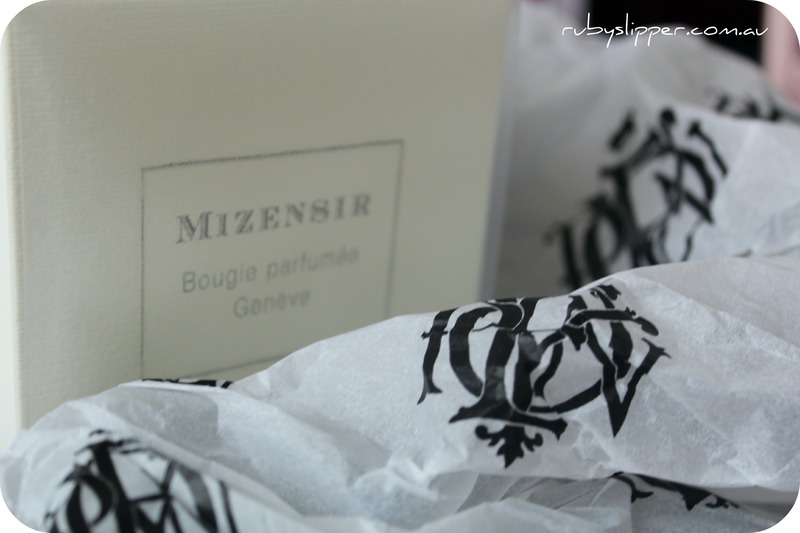 Amongst these dreamy clouds of Peony Haute Parfumerie tissue paper lies that ultimate workspace luxury – a Mizensir candle. Today’s brief Ruby Assembly blog focuses on the office as a workspace, retreat and cocoon for dreaming and creativity. Find out what makes the Ruby Assembly office so productive, and be inspired to create your OWN olfactory office by going to Peony’s HUGE warehouse sale. One week only! Welcome to the Ruby Assembly office (above). Unlike our prior work environments, the Ruby Assembly space is feminine (note the large framed print, an ode to tea and mis-matching porcelain). 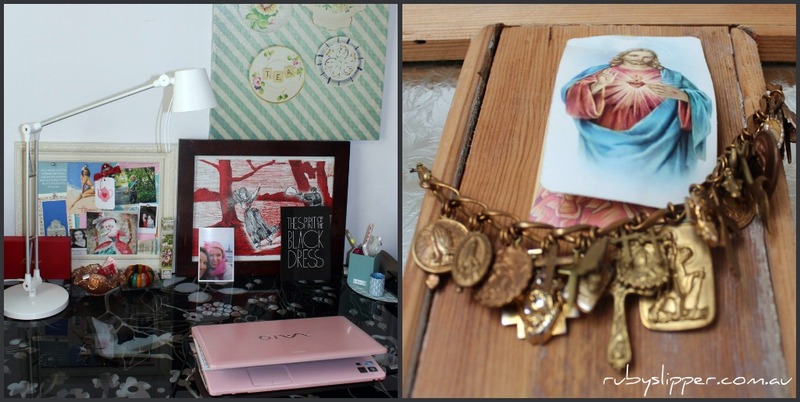 Essential to working productively and creatively are objects of beauty, such as my vision board full of pictures of loved-ones, cards from friend and odd graphic bits and pieces. I also have an old piece of coloured-glass crystal, formerly a sweet bowl. Now I fill it with lip-glosses, hand creams and the occasional pair of earrings. The door to the Ruby Assembly office is also guarded by icons of Jesus to ward off ills – it’s a Greek Orthodox kinda office. One of the most important aspects of creating a welcoming space that makes the spirits of creative endeavour feel welcome is that of scent. Regardless of whether you’re a little spiritual or superstitious, the olfactory experience is one which brings back memories of good or ill. The Ruby Assembly office indulges in beautiful candles a few times a year, making the working day or rainy day writing that little bit more magical. 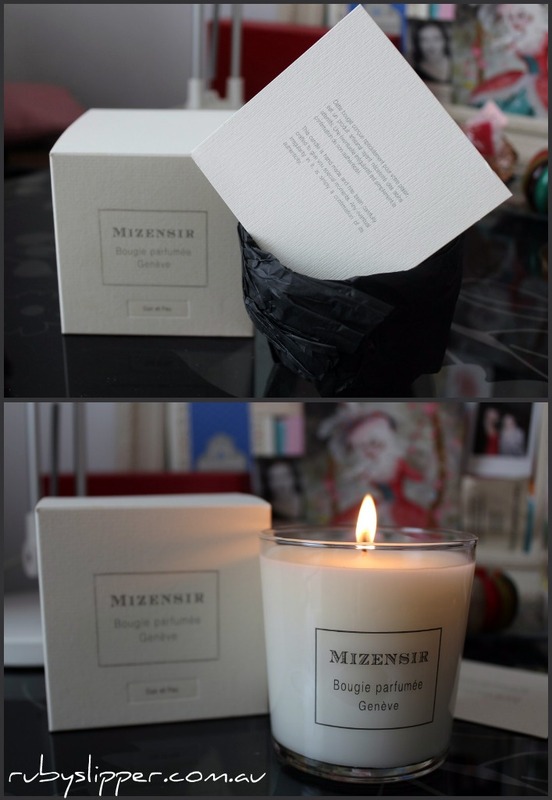 This week we are burning a candle from Mizensir, exclusively imported by Peony Haute Parfumerie from Geneva. The candles come beautifully nestled in raven black tissue with instructions on burning (and more importantly) the origins and story of the brand. The candle is in the fragrance Cuir et Feu – leather and fire, and our office smells of rich oiled leather, cosy firesides and something else – something like sweetly fresh laundry. There’s no better place to find luxurious candles than the Peony Haute Parfumerie Sale which runs from Monday March 5th until Saturday March 10th. Luxe stock (think Laduree, Diptyque and more) have been ruthlessly reduced – which means you’re one step closer to an olfactory office which is memorable for your clients, and beautiful to work from. Peony is located at 107 Auburn Road, Hawthorn. They also have an online shoppe, which you can find here. Oooh! I must check these candles out! We are always making our space at home as relaxing as possible and candles/armomatherapy really help.